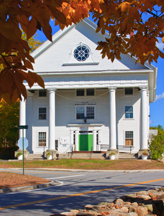 Bedford Off Broadway is a community theater located in Bedford, NH. 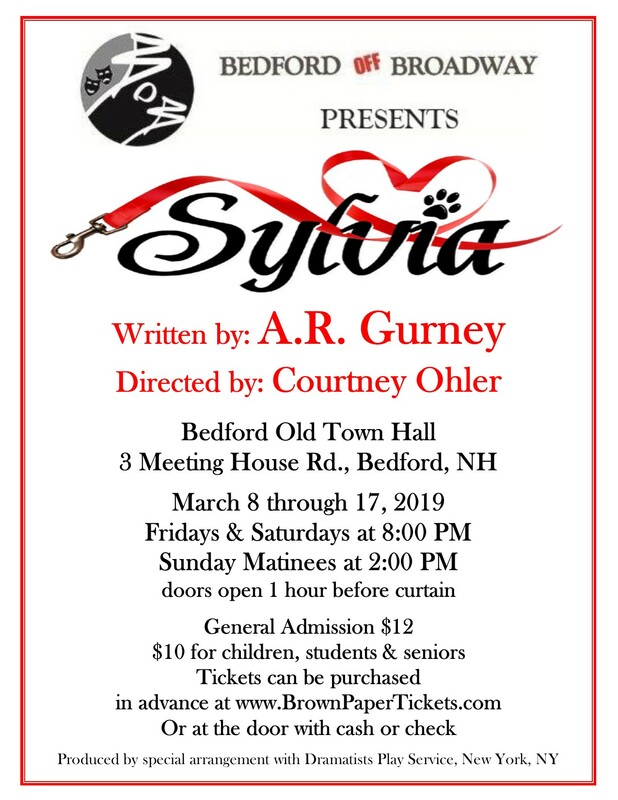 We perform two productions a year in the beautiful and historic Old Town Hall located at 3 Meetinghouse Road, across from the Bedford Olde Town HallLibrary, and at the intersection of Meetinghouse Road and Bedford Center Road. We currently have one performance in the Spring and one in the Fall. Check our Coming Attractions page to get information on upcoming shows. From the South: Follow I-93 North or the Everett Turnpike to the Bedford exit which is Route 101 west. From the East: Follow Route 101 West to Bedford. From All Three Directions: At the first traffic light on Route 101 West(the intersection with Route 114), turn left and continue to follow 101 West to the third traffic light. Turn right onto Meetinghouse Road. The Old Town Hall will be on your right at the next intersection at Bedford Center Road. From the West: Follow Route 101 east to Meetinhouse Road. Turn left at the traffic light onto Meetinghouse Road. The Old Town Hall will be on your right at the next intersection at Bedford Center Road. Parking is not allowed on the street. There are three parking levels on Meetinghouse Road at the BCTV studios just below Old Town Hall on Meetinghouse Road. There is also parking behind the Bedford Library, just accross the street from Old Town Hall (Available only when Library is closed). Bedford Off Broadway is currently working on the schedule through 2019 !